Pillars of Eternity: Lords of the Eastern Reach Kickstarter Announced! We are proud to announce the Kickstarter for Pillars of Eternity: Lords of the Eastern Reach! 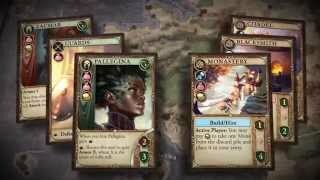 A physical card game using the Pillars of Eternity license!